2018 marks the 75th anniversary of Our Credo. In honor of the milestone, we’ve compiled some interesting tidbits—past and present—about the legendary belief statement. Johnson & Johnson has been committed to caring for people since its founding in 1886. But it was in 1943 that those founding values were put to paper, when the guiding manual of the company, Our Credo, was first drafted. In homage to its diamond anniversary year, we look back on the history and evolution of Johnson & Johnson's corporate responsibility statement—one of the earliest of its kind when it debuted 75 years ago—and how its four main tenets continue to guide the company to this day. 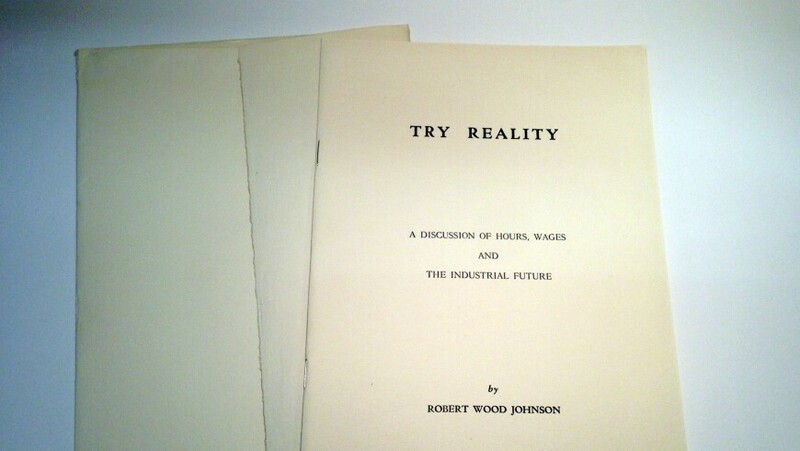 In 1935, General Robert Wood Johnson, son of the company’s founder, wrote a pamphlet titled Try Reality: A Discussion of Hours, Wages and the Industrial Future. This became the framework for Our Credo and contains its earliest written expression of ideals. 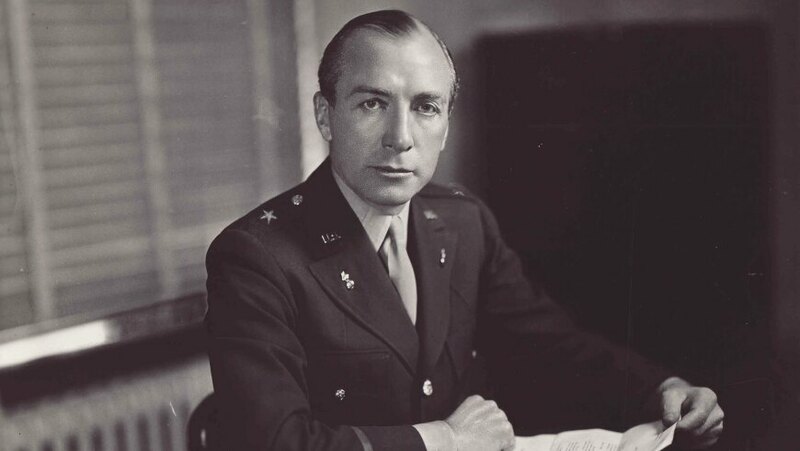 The statement now known as Our Credo was written by General Johnson in 1943 and presented at the December board of directors meeting that year—just a few months before Johnson & Johnson became a publicly traded company. When the Credo was first published in Johnson’s 1944 book, But, General Johnson..., it appeared with the title “An Industrial Credo.” According to Gurowitz, Johnson gave the document this original title because he felt all of American industry should adopt it. 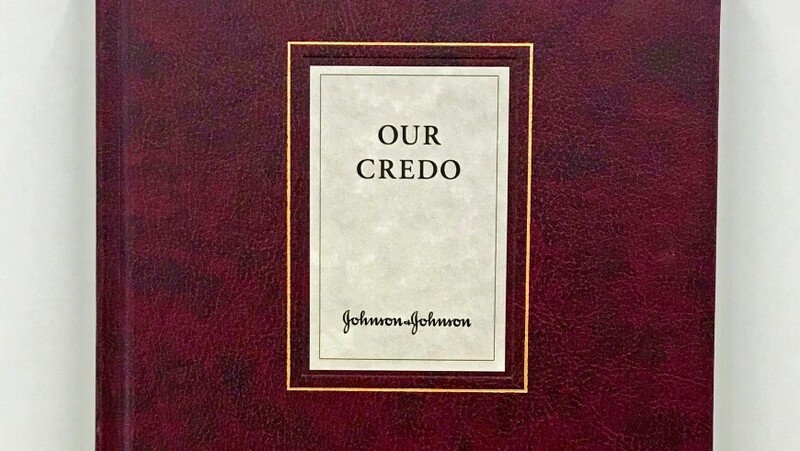 It wasn’t until 1948 that the name was changed to “Our Credo,” which better represented the fact that it reflected Johnson & Johnson’s specific core values. In 1979, wording was added to outline the company’s responsibility to “protecting the environment and natural resources,” which reflected larger changes in the world at that time. 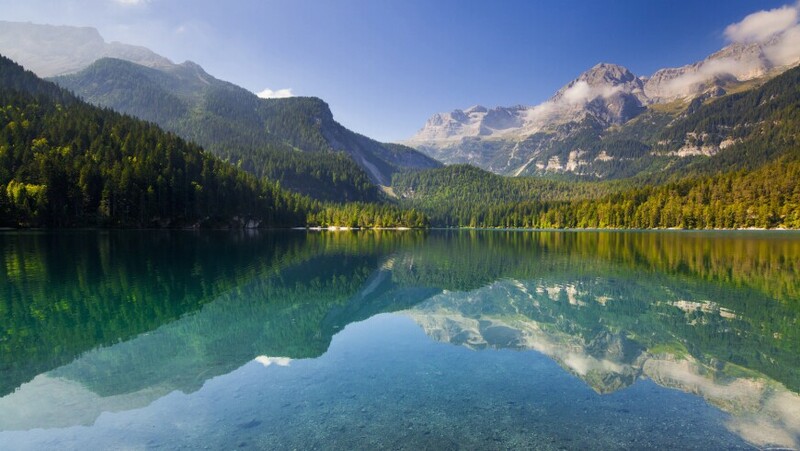 “The modern environmental movement had begun with the publication of Rachel Carson’s book, Silent Spring, in 1962, and the first Earth Day was held in 1970, so there was a growing awareness of the need to protect the environment,” explains Gurowitz. In 1987, “fathers” was added to accompany "mothers" in the first paragraph, and a nod to work/life balance was included with the addition of this sentence: “We must be mindful of ways to help our employees fulfill their family responsibilities.” These updates “were a recognition of changes in society and the workforce—more and more women were working and there was a rise in two-career families,” says Gurowitz. Other Johnson & Johnson leaders have also been instrumental in the continued evolution of Our Credo, including former Chairman and CEO James E. Burke, who shared that its tenets were among the reasons he joined Johnson & Johnson in 1953. In 1975, the year before he became CEO, Burke organized Credo Challenge meetings, so company management could discuss whether the values in Our Credo were still relevant. The answer: a resounding yes! As a result, the company’s leaders came out of the meetings even more committed to the document’s timeless values. Burke also launched the Credo Survey process in 1985. “The survey asked employees worldwide to rate how the company was living up to its responsibilities as outlined in Our Credo,” says Gurowitz. On the Credo’s 70th anniversary in 2013, Chairman and CEO Alex Gorsky launched another session of Credo Challenges to nurture a discussion on how Our Credo defines the company in modern times. 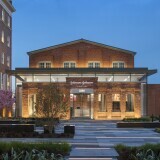 To underscore its importance to Johnson & Johnson, an 8-foot-tall engraved version (shown above) sits in the lobby of company headquarters in New Brunswick, New Jersey. Made of quartz stone and limestone, it weighs an estimated 6 tons! 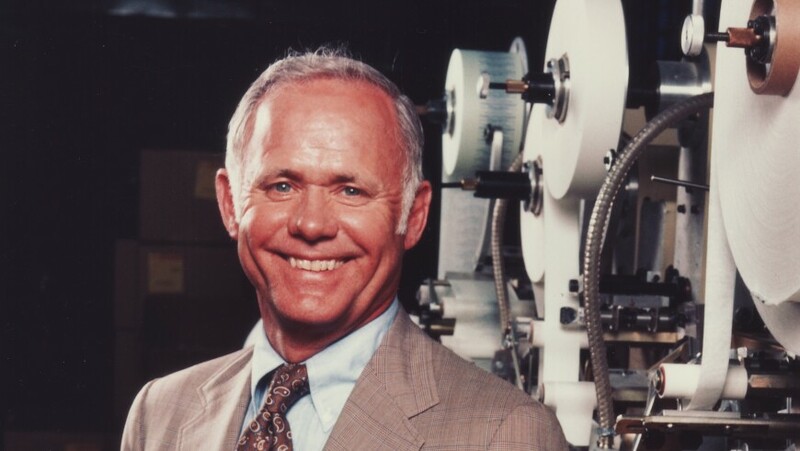 In 1997, then-Chairman and CEO Ralph S. Larsen collected 65 copies of Our Credo from various countries and had them printed in a single volume (shown above). His goal was to show how the philosophy is a force for uniting Johnson & Johnson as a worldwide organization. 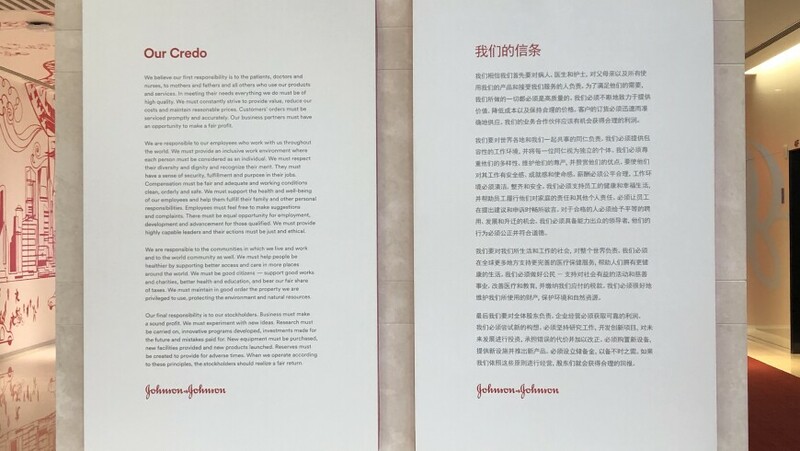 Our Credo is displayed throughout Johnson & Johnson locations around the globe: It can be found in some 800 buildings! 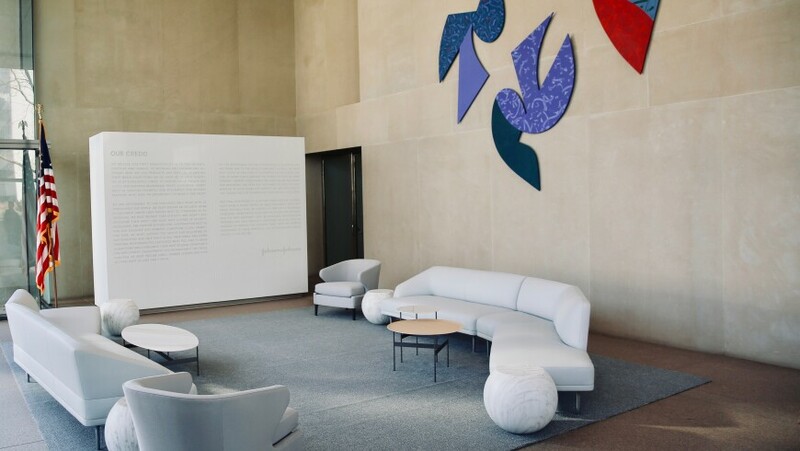 “Our Credo is used in two workplace environments: It’s always in the reception lobby and also displayed in conference rooms,” says Trish Solsaa Trish Solsaa,Senior Design Manager, Environments, Johnson & Johnson Design, Senior Design Manager, Environments, Johnson & Johnson Design. Furthermore, “many leaders in the organization have it hanging in their office, and when tough decisions come up, they've been known to use it to help guide them,” says Jay Driscoll Jay Driscoll,Director, World Headquarters Facilities Management, Johnson & Johnson Engineering and Property Services, Director, World Headquarters Facilities Management, Johnson & Johnson Engineering and Property Services. Fun fact: Side-by-side English and Chinese versions of Our Credo are displayed across 23 walls in the company’s Shanghai office (one example is shown above). Johnson & Johnson is a global company—and so is Our Credo. It has been translated into dozens of languages and dialects, from Arabic to Vietnamese. While the current English version of Our Credo contains 342 words, the Romanian version has 415 and the Chinese language version has 607—almost double!